NEW LONDON, Conn. — If the uniformed cadets milling about the local movie theaters and pizza joints didn’t make it obvious enough, a banner hanging from a downtown parking garage makes it crystal clear: New London is an official Coast Guard City. "The people have really just come together and said, 'hey, it's the Coast Guard's time. They need our help,'" said Troy Castineria as he pushed his shopping cart around a pop-up food pantry filled with donated, free goods. Both he and his wife Lauren are former active duty members of the Coast Guard who work at the academy. Castineria said the local utility in nearby Norwich has waived late fees for federal employees who are not being paid and can't cover their bills. Separately, nurses at New London’s Lawrence and Memorial Hospital have been offering gift cards to needy families; a city activist plans to open her home on Martin Luther King Jr. Day as a drop-off location for donations; local restaurants and other businesses are offering discounts, and local banks are providing no-interest loans to supplement lost paychecks; and the city’s police department and the U.S. Navy submarine base in nearby Groton have collected donations. 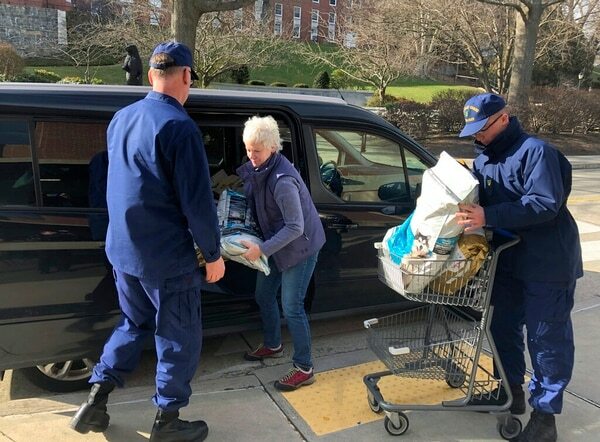 Waller Walker of nearby Mystic arrived in New London on Thursday afternoon with a friend, driving two vehicles packed with groceries. 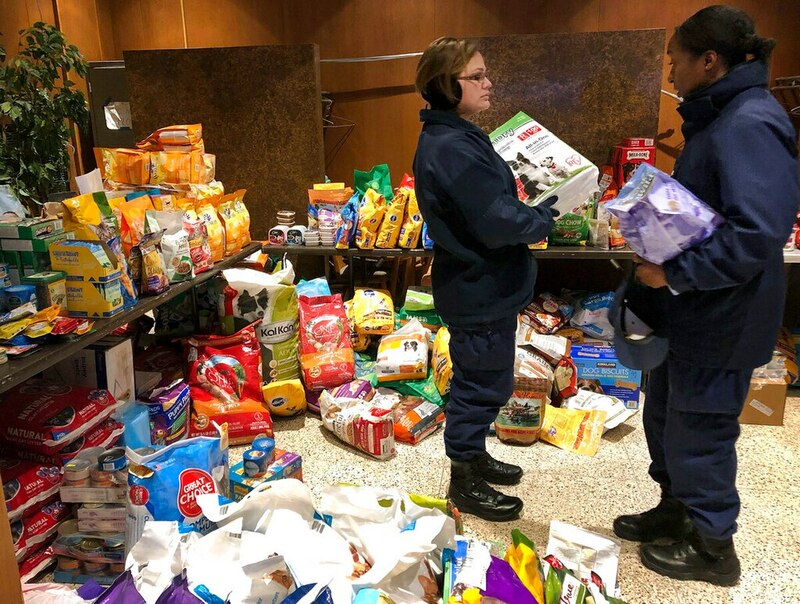 The pair had reached out to a network of 400 people to raise money and get food donations after hearing about the collection site on the news. 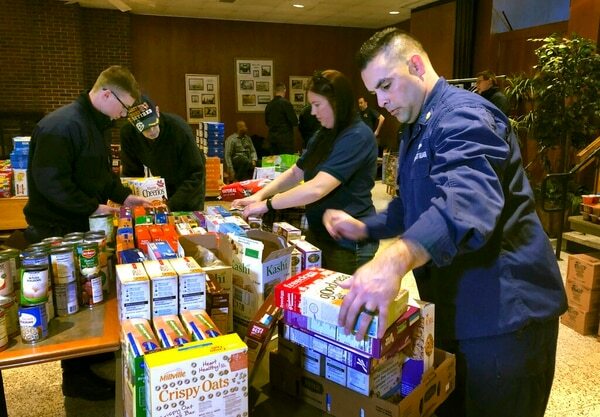 The irony of the Coast Guard’s predicament wasn’t lost on retired Adm. Thad Allen, who toured the pop-up pantry on Thursday during a visit to the academy. 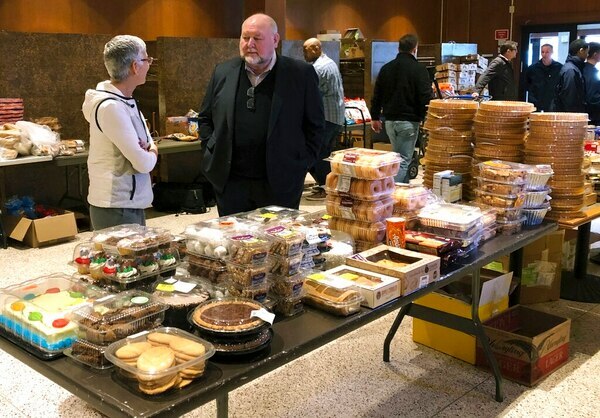 He expressed his frustration at how the shutdown has been impacting people who often rescue others from natural disasters.